Know anyone in need of storage space? As a valued customer of Global Self Storage we offer referral incentives on your rent with each and every person you send that rents any size storage unit. 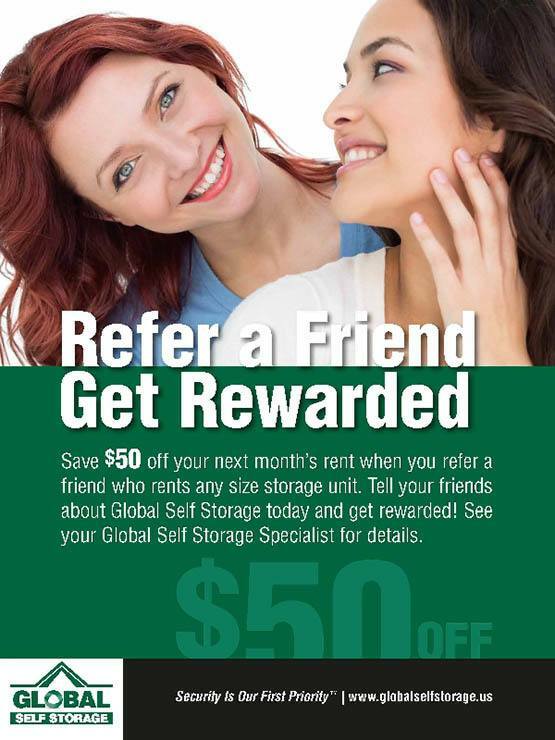 Refer a friend and save $50.00 off your next month's rent! Please contact a storage specialist for details.